Add it in the boil. Many special ingredients in beer will fall into a category, including sugars, starches, alcohols, spices, herbs, roasted ingredients (especially coffee and chocolate), nuts and fruits (and fruit peels). One of the easiest kinds of special ingredients to handle in the brewhouse is sugars. There are many types of sugar a brewer might add to his beer. The sugar may be added only for its fermentables, or the flavors associated with the sugar may be desired. Sugars that are commonly added to homebrew include refined sugars such as beet sugar or cane sugar (both sucrose). 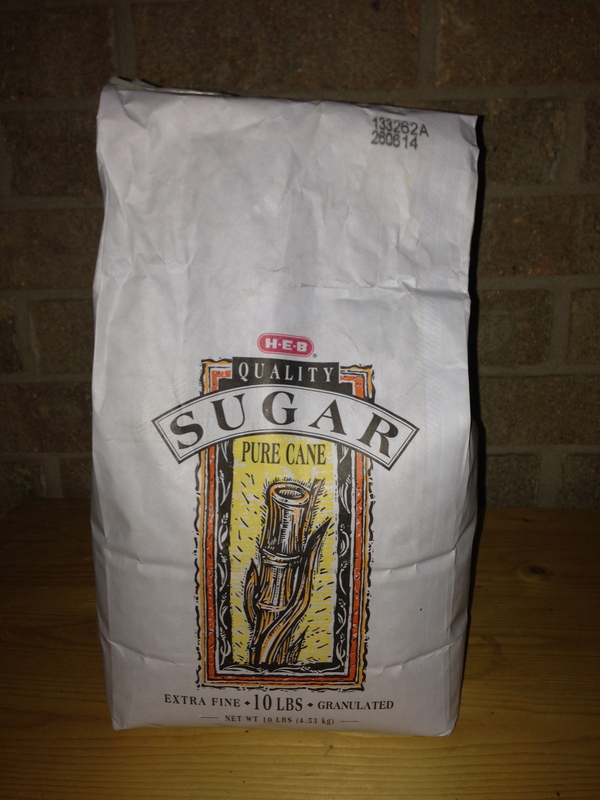 Most refined table sugar in the word comes from either sugar cane of sugar beets. Refined sugars add no flavors or aromas to the brew, they are simply fermented and turned into carbon dioxide and ethanol. 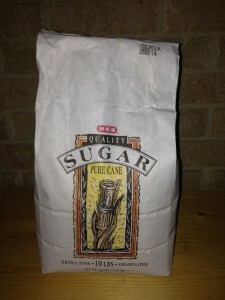 Less refined versions of cane or beet sugars include piloncillo, panela, jaggery (which can also be made from date or palm sugars) and raspadura. These have a distinctive flavor because some plant material is still associated with the sugar. Sugars can be caramelized and added to beer. Caramelization occurs when sugar-rich solutions are heated to the point that simple sugars react with each other. The result is a tan or brown solution. Caramel flavoring is known to work well in beer as crystal or caramel malts are frequently used and have this flavor. Belgian candi sugar and Belgian candi syrups are made from beet sugar that has been inverted and, in the case of dark sugars or syrups, caramelized. Sugars can also come from the sap of plants. Maple syrup, birch syrup, palm syrup and agave syrup are all sugar solutions condensed from sugar-rich plants. As brewers, we also know sugars can come from starch. In addition to malt syrup (made, of course, from barley), sorghum syrup and corn syrup are also produced from their respective grains. High fructose corn syrup has largely replaced refined sugar (sucrose) in US food production. I have used HFCS, in the form of the soda pop Mt. Dew, in beer. The corn sugar (glucose monohydrate) sold in homebrew stores as priming sugar is made by the enzymatic hydrolysis of corn starch. Honey is a sugar solution produced by animals — bees. Bees gather nectar from flowers and concentrate it via evaporation into honey in their hive. Likewise, lactose (or “milk sugar”) is produced commercially by condensation from whey (the liquid left over after the curds have been removed in cheesemaking). Flavored hard candy made from any form of sugar may be added to your beer. (I’ve made beers that included Jolly Rancher candies dissolved in secondary.) One thing to consider when adding hard candy is that it may contain binders. Check the ingredient list on the candy before adding it. Brittles, caramels and toffee contain milk products, and should probably be avoided. Jelly beans and gummy bears contain gelatin and pectin, the latter of which can cause haze. Although there are numerous sources and forms of sugar, they can all be treated in the same manner in your brewhouse. The easiest way to add sugar to a beer is to add it during the boil. If properly dissolved, when you add the sugar has little consequence. The character of the sugar is not going to change much given the timeframe or intensity of a homebrew boil. It won’t be hot or concentrated enough to be caramelized and, if it’s sucrose, it won’t be inverted. (Sucrose begins to caramelize at 320 °F/160 °C; inverting sucrose requires it to be heated to 237 °F /114 °C. Also note that if the sugar you add is sucrose, it will not participate in Maillard reactions as it is a non-reducing sugar.) Most recipes specify adding sugar near the end of the boil, just long enough to sanitize it, and that works well. If sugar is not dissolved properly, however, it can sink to the bottom of the kettle and caramelize or scorch. This will add caramel flavor and perhaps burnt notes to your beer. To avoid this, you can dissolve sugar solutions in wort before adding them to your kettle. Once added, be sure to stir to mix the solution in thoroughly. Sanitized sugar solutions can also be added in secondary, but in most cases this would be a needless complication. If your sugar source contained a very volatile compound as part of it’s aroma, adding it in secondary would be a good idea. 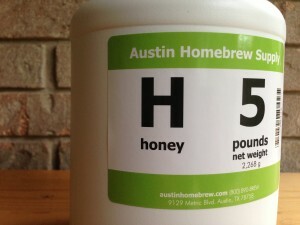 However, this doesn’t apply to any of the sugars commonly added to homebrew. After fermentation, any fermentable sugar added to the beer will of course be gone, consumed by the yeast. If you want to add sweetness to your beer, you need to add a non-fermentable sugar. Lactose is, of course, widely known not to be fermentable by brewers yeast and used to sweeten sweet stouts. It is possible that some non-sugar sweeteners could used to sweeten, or back sweeten a beer (or mead). The active ingredients in stevia, steviol glycosides, are much sweeter than sugar, are heat stable (can be boiled) and yet are not fermentable. However, this has yet to be thoroughly tested. The next installment in this series covers fruits.